Rivaroxaban is the drug commonly known as Xarelto. It is a direct Xa inhibitor that operates by thinning blood and preventing blood clots. After orally consuming the medication, absorption typically takes place within the gut and its effects can be felt within three to four hours; additionally, its effectiveness can last for relatively eight hours to twelve hours. However, it still leaves an impact on the person taking Xarelto for almost a full day, but this is rarely noticeable by the person. Xarelto has uses far beyond thinning blood. It has been approved by the United States, Canada, and the European Commission for preventing venous thromboembolism (a potential trigger for pulmonary embolisms) during the commission of knee and hip replacement surgeries. 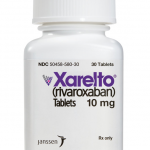 In 2011, the United States Food and Drug Administration (FDA) also approved Xarelto to deter strokes in persons with non-valvular atrial fibrillation (an abnormal heartbeat). The drug is manufactured by Bayer and marketed by Johnson & Johnson. Disclosed Side Effects: Xarelto actually lists on its label conditions patients have reported suffering from after taking this medication. One major side effect cited is Jaundice. Jaundice is a condition causing the skin to exhibit a yellow color brought on by heightened levels of bilirubin in the blood stream. Another serious complication recognized on the label is Agranulocytosis. This is a rapid drop in the white blood cell count of patients. Finally, many people also have informed Johnson & Johnson, the marketer of Xarelto, that after taking the medication they feel weakness or numbness on one side of the body. This is known as Hemiparesis and should be attended to immediately. All conditions should be given medical attention. Excessive Bleeding: Xarelto is an anticoagulant. Therefore, it might be surprising to learn that one of the most consistent side effects encountered upon taking the medication is excessive and uncontrollable bleeding. In fact, this problem is actually even listed in the literature given by the manufacturer and marketer of the drug. Excessive bleeding can cause a whole host of other medical issues. For instance, this can make patients bruise more quickly, and, in certain instances, may even be a contributing factor to death. As will be highlighted in more detail below, Xarelto’s role in triggering bleeding throughout the body may be compounded if patients are on other medications at the same time. Patients taking Xarelto, or about to take Xarelto, should speak with their doctor about the consequences of such possible bleeding and should ask if there are other anticoagulants that could accomplish similar ends without these side effects. Blood Clots: Though one might not expect blood clots to be a side effect of Xarelto, given its status as an anticoagulant, under certain situations they actually have been found to form following the use of this medicine. Specifically, following the application of a spinal epidural (or anesthetic) or tap, patients have developed blood clots after taking Xarelto to ostensibly alleviate the treatment. This is as unexpected as it is dangerous because they can have such serious consequences as paralysis or even strokes. Yet, these are not the only medical procedures that have triggered blood clots following the combination of Xarelto. Patients should speak with their doctor to learn in what circumstances does the prescription of Xarelto typically cause an adverse reaction, including blood clots. If you are currently taking any of these medications, you should immediately inform your doctor if he or she is considering prescribing you Xarelto. Wound Problems: Xarelto is extremely common following certain medical procedures such as total knee replacement or hip replacement, to name a few. It is used to prevent pulmonary embolisms and deep-vein thrombosis. However, it is found to be not as effective as other medications with lower molecular weight. In fact, the application of Xarelto might complicate the surgical site and even create a wound or preclude the existing wound from healing on its own. Typically, it thwarts the healing process through infection, leakage, or acute pain. Yet, it also can lower a patient’s mobility and fail to prevent the collection of blood outside blood vessels. All of these difficulties are serious and consistently associated with the prescription of Xarelto. Patients should speak with their doctors about the possibility of these occurrences as well as other complications that might development at their surgical wound. Have You or a Loved one Suffered Complications After Taking Xarelto? Rosenfeld Injury Lawyers LLC represents people from across the country who have developed complications or died after taking Xarelto. Our firm is committed to your success and we have a team of physicians, nurses and medical researchers assembled to both evaluate and assist in the litigation of your case. 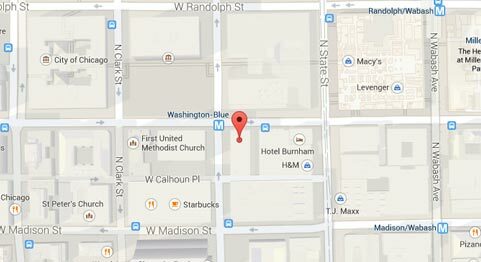 We invite you to contact our office for a free case review and an update with respect to current litigation. View the pages below for additional information on the medical-legal implications of Xarelto.